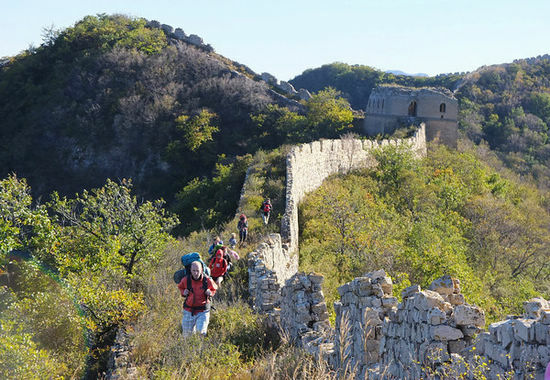 An amazing 45km Great Wall trekking on long forgotten & rarely seen wild sections of China’s Great wall. 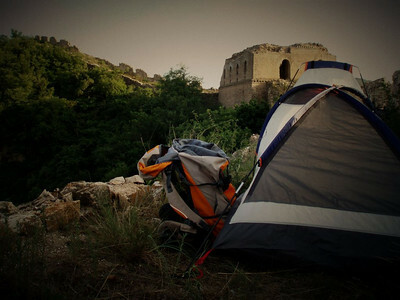 We will pitch our tents twice on the Great Wall and stay once overnight with a local farmer. This Great Wall trek starts on the crumble staircases of the Chen Castle Great Wall from where we head to the highest Great Wall watchtower of Beijing. 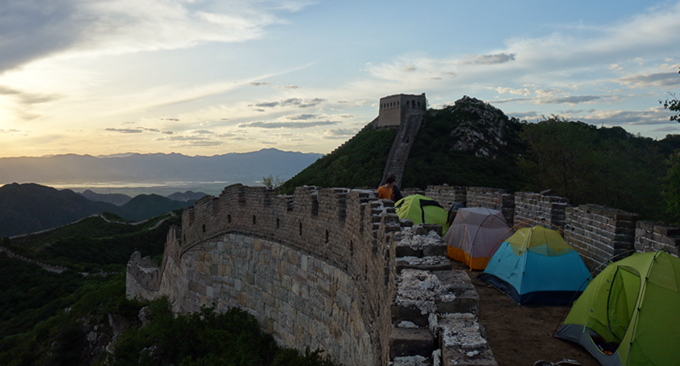 We continue on the long forgotten but amazing Border Defense Great Wall to finally pitch our tents on the General Xu Great Wall. After hiking this trail you can truly say you hiked China’s wild Great Wall. 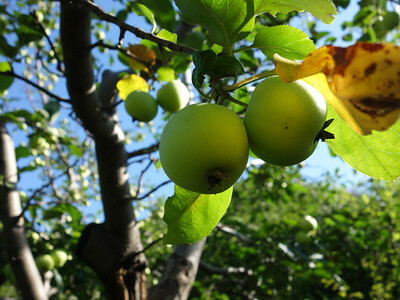 The 1.5h drive from Beijing will end deep in a valley filled with apple and pear trees. One of the few remaining families in the valley runs a small farmhouse where we will start with a good countryside style lunch. After lunch we start hiking past a small temple and up the hills for about 1 hour towards the Great Wall of China. 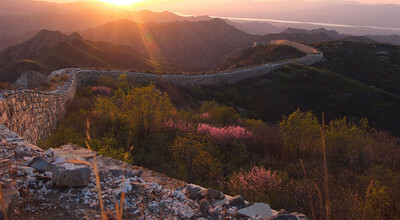 Once on top of the Great Wall you’ll be delighted with the endless views. From then on it is a pretty relax hike on top of the great wall. As we walk on the wall over the mountain ridges new section of great wall keep unfolding. This section of the Great Wall has never been renovated so once in while we side track a bit to avoid a few dangerous parts. 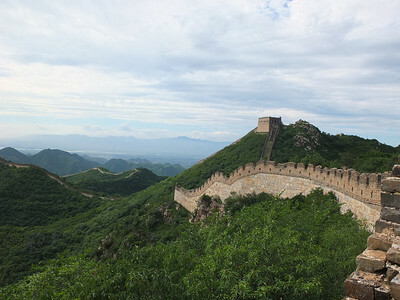 After a medium ascend on the famous staircases we reach the highest tower of this Great Wall. From this General Tower you have excellent views on miles and miles of Great Wall. From this viewpoint onwards we mostly hike downhill towards our camping spot. 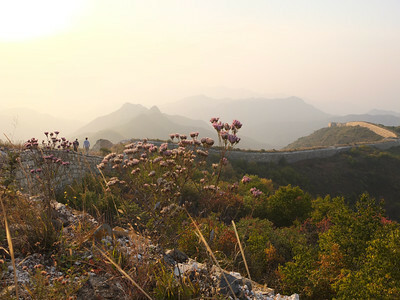 Here the Great Wall is in its best shape, a place for top class pictures. 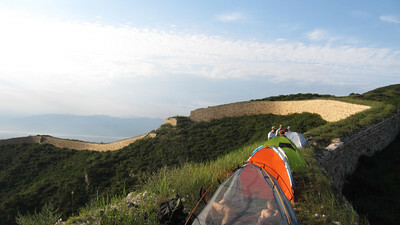 After breakfast we pack our camping gear, wave the Great Wall goodbye and enter a little forest trail. A one hour hike in the shadow of the trees will bring us to the valley where we switch our back packs for a day pack an pick up a packed lunch. Today’s goal is the Beijing’s highest watchtower. A 1,5 hour hike through the forest brings us to the Wild Great Wall again. The trail is quit steep so we have quit a few stops here. 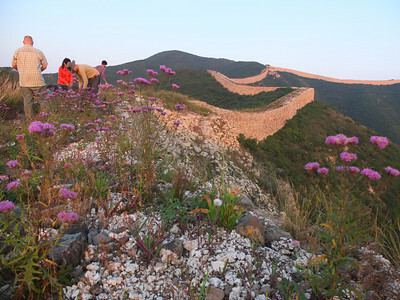 We will reach the crumbled Ming Dynasty Wall at an altitude of 1000 meter. 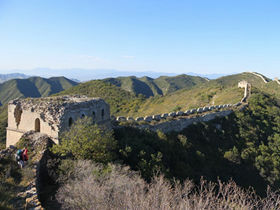 In the next 3 hours we walk on top of the Great Wall and ascend another 500 meter before we reach our first destination. At the start the Great Wall and it watchtowers are crumbled and mystique and offer a great opportunity for pictures and lunch. After lunch we climb the steep renovated staircases of the Great Wall until we reach Beijing highest Great Wall Watchtower. It’s without doubt the most scenic spot Beijing has to offer. You’ll have a 360 degrees views of the never ending Great Wall. We leave the Great Wall hike for another 10 km trough the mountains passing a memorial stone for 5000 soldiers that died here in WW2 and a village completely made out of Great Wall bricks. 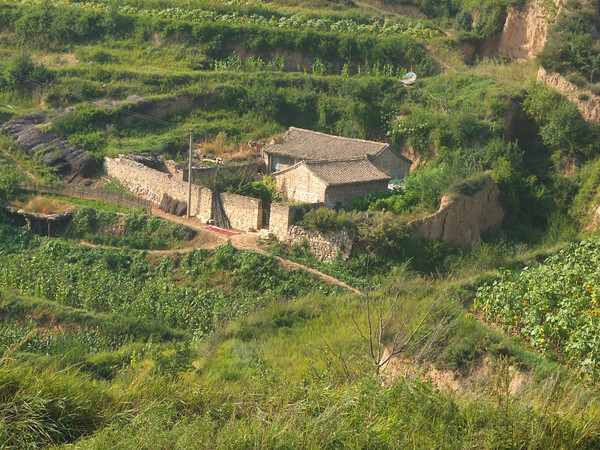 We end the hike at a farmhouse located in Ming Dynasty walled village where we have dinner and a good nights rest. Today we pack our lunch as we are going for a long hike all the way on a forgotten part of the Great Wall. It’s a 15 km hike on top of the Great Wall. 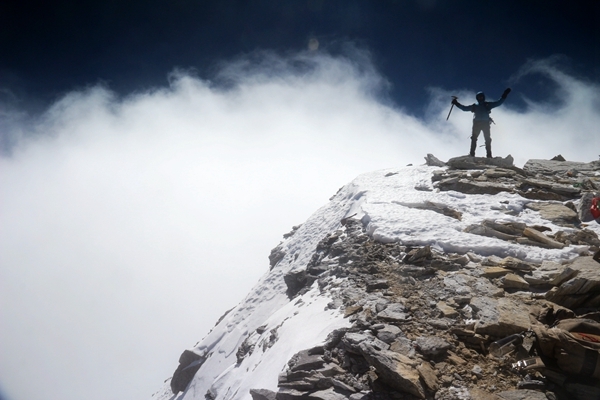 A good ascend to start with and once at the highest point follow the Great Wall over the mountains ridge. In the distance we can spot the highest Great Wall watchtower we crossed yesterday. This section will be another highlight of this trip. 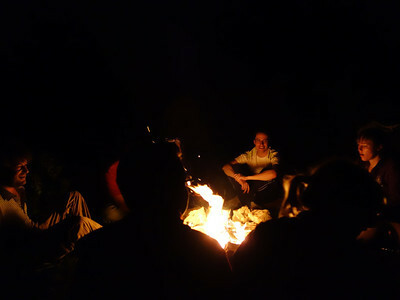 With cold beers and a dinner cooked over the fire we will celebrate our last night on the wall. 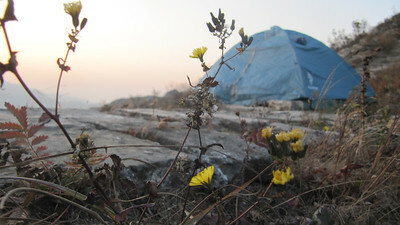 We will wake up with when the early sun will start shining in our tents. 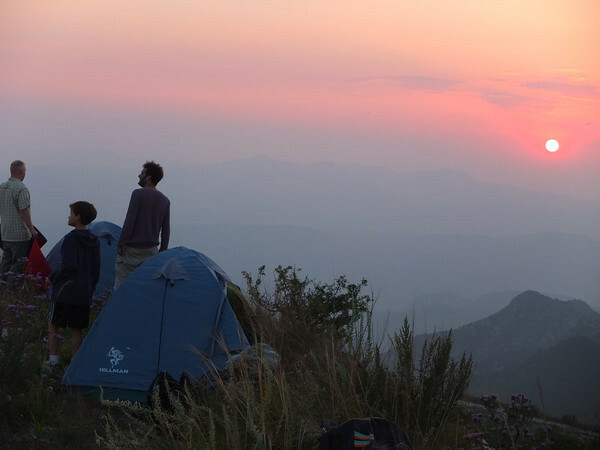 Today you don’t even have to get up for the sunrise as you are able to see it by just unzipping your tent. Our final hike is beautiful. We will hike down for 2 hours on top of the mighty Yangbian Great Wall all the way to its lowest point. Here we say the Great Wall goodbye and follow a tiny trail down the hill and trough the orchards till we reach a small road where our driver will be waiting to bring us back to Beijing. 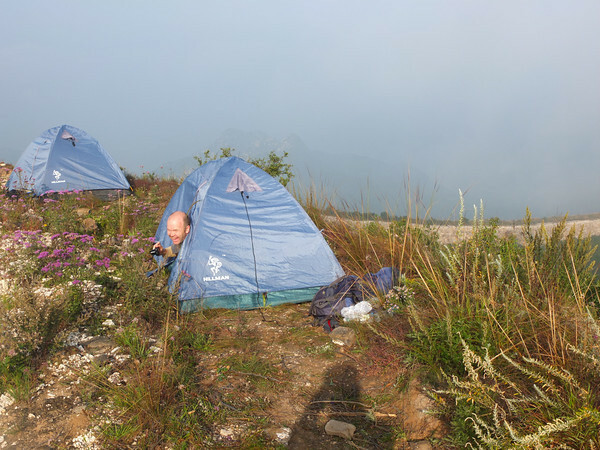 We rate this 4 days will Great Wall Trekking trip level 4 so you will need a good condition to enjoy this trip. 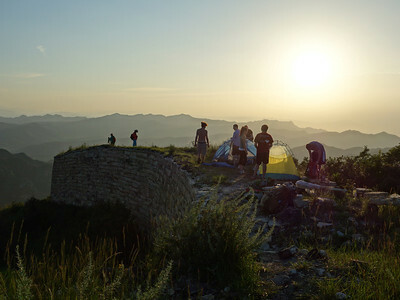 On the first day you’ll have bring your backpack with camping gear up the Great Wall and the hikes on day 2 and 3 are quit intense. 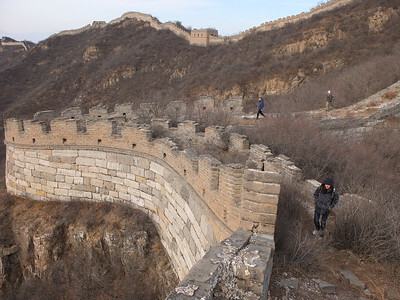 Be sure to bring good hiking boots as we will climb some crumbled parts of the Great Wall. There are no steep drop offs but people that have fear of heights might have difficulties at some points. Beijing Highest Great Wall is also called “Long Valley” (Changyucheng), the local area looks like a long sweeping valley, so they named this city the Long Valley city. 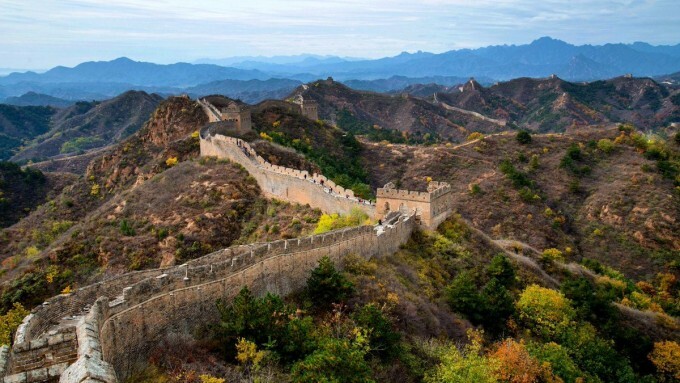 Nowadays, we call it Beijing Highest Great Wall, because the highest watchtower on the Great Wall is there. 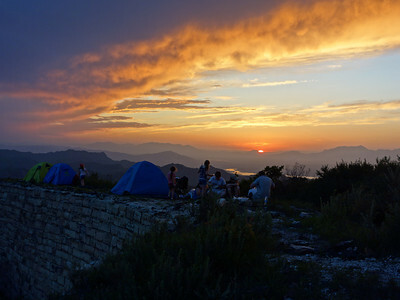 It is located to Changping district, around 18 kilometers northwest of Beijing. It connects north to the Badaling, and south to Border Great Wall. The remaining part of the destroyed towers in the Great Wall were constructed during the Yan Kingdom in 600 A.D. It is restored in the Ming dynasty, and it is about 4km long. There are many temples around the Wall, and the bells and drum-towers are mostly well-preserved and have become protected heritages in the local. In this area, it is channeled most of the traffic approaching Beijing (Peking) from the north. 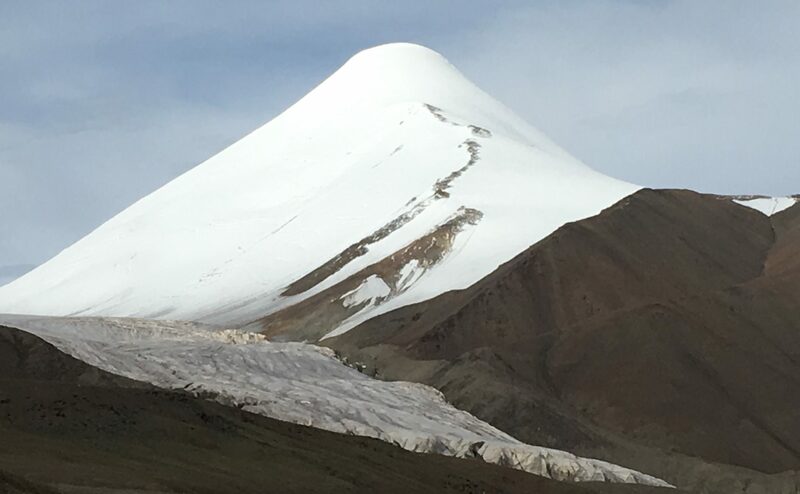 This area was also the natural pass through the mountains which was fought over during times of war. This part of the Great Wall shows the bullet scars from the Nankou war between China and Japan in the years which led to the World War II. The Chinese 529th Army Group have sacrificed many great men here and made a solemn memorial ceremony for the Chinese people. 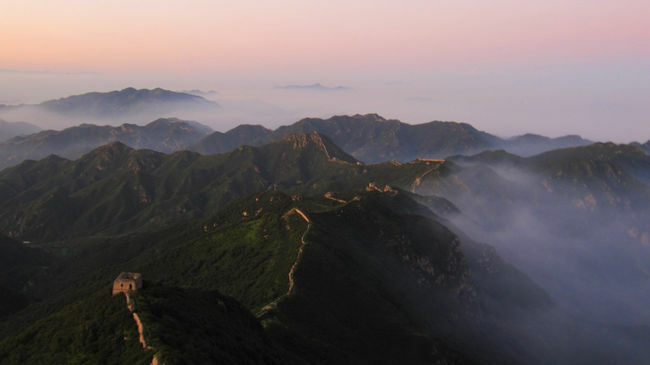 The highest point along this area is 1438 meters, which is the highest point of the Great Wall of China. 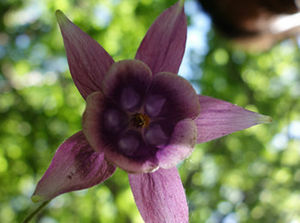 During the autumn, one can view the yellow flowers were blooming in a beautiful meadow called Huanghuapo. The city wall was built with large stones.There are two ancient scholar trees there, and most buildings are Ming and Qing style. Five meters away from north of Zhenbian Fortress Village, lays Hengling Fortress, which is large-scaled and well-preserved. One can see an ancient theater in the village, but the pictures on the pillar and roof beam became muzzy after such a long time. General Xu Great Wall was also called “Yangbian” in Chinese, which meant “Example”. 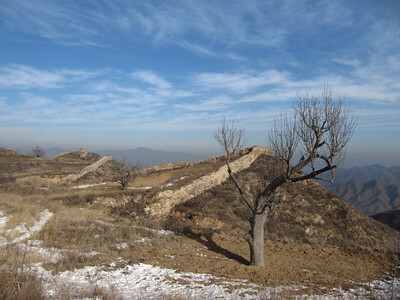 This section of the Wall was constructed by General Xu Da as a model to the other parts of the Wall, especially to the Juyong Pass. 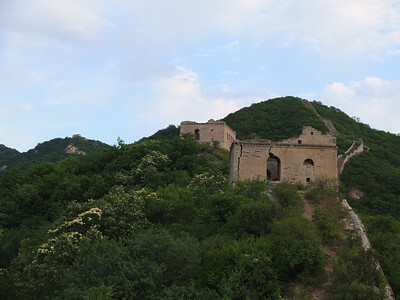 General Xu Great Wall is about 100 kilometers west of Beijing, in Huailai county northeastern of Hebei province. 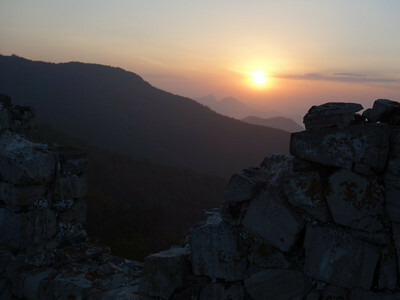 It it located in the mountain near Miaogang Village, it’s also called the Miaogang Great Wall. It was built during the Ming dynasty (1368-1644). It stretches for more than 10 kilometers after the renovation under the supervision of General Xu Da. The original section accounts for 2.5 kilometers. It was built by stones and rocks in irregular shapes from the mountainside. The Wall is sturdy. The tops are paved with large slabs of stone. Ochre moss grows on the stones form different patterns. Legend said that an inspector shot arrows at the wall as part of the test. The old wall zigzags through the mountains. Actually this section is quite wild to compare to the other Wall. The high peaks and deep valleys made it an important defensive stronghold in ancient times. In ancient times, it was the main path that Mongolians took to attack the Central Plains. They crossed the Inner Mongolia prairie from west to east, passed Xuanhua, Huailai, Yanqing, Nankou, Juyongguan, and attacked Beijing. There are only a few passes that lead to Beijing, and Hengling was one of them. During a war with Mongolians, emperor Yingzong of the Ming dynasty came out for the battle and led the army. Unexpectedly, he was captured by a Mongolian chief. For 18 years, the emperor had been trapped in the remote Mongolian prairie. During the captivity of the emperor, the Mongols attacked Beijing fiercely which caused a loss of hundreds of thousands of deaths and wounds. Before they occupied Juyongguan, a Mongolian detachment crossed Baiyangkou and Henglingkou west of Juyongguan, and threatened Beijing at her moat. Captain Yuqian, who was assigned at this turning point of history, successfully launched a counterattack to defend Beijing and rescued Ming dynasty. He intended to build defensive lines for Central Plains, so fortresses, towers and studs along the existed Great Wall and inside the valleys were constructed. 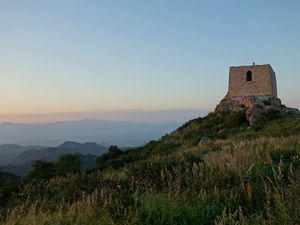 Lots of these castles are rarely known today, which were hidden in the mountains and well-preserved. With fewer visitors and less commercialization by the public, this area offers traces of the past without the crowds. 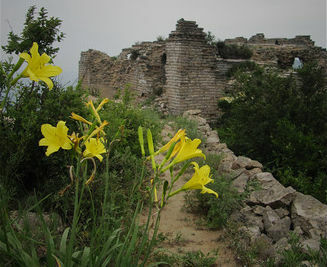 This location is called General Xu Great wall. General Xu became famous for the Yangbien great wall as an example of how all parts of the great wall in Beijing should be build. Most towers of this great wall have been destroyed during the cultural revolution but the mighty Yangbien great wall still stands very robust in a magnificent scenery. Weather conditions on this trip where just perfect. 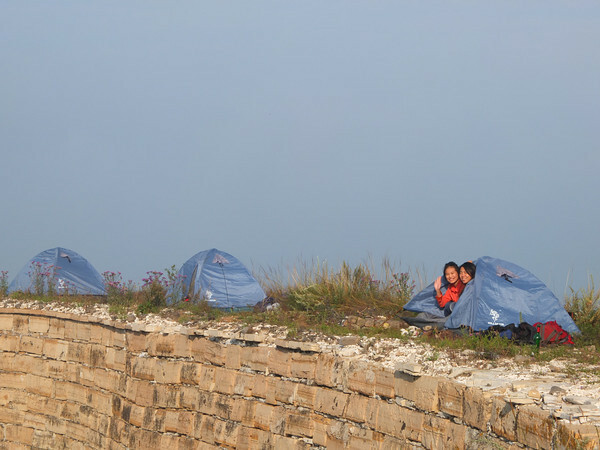 Have a look at what probably will go in to our top great wall camping trips of this year. 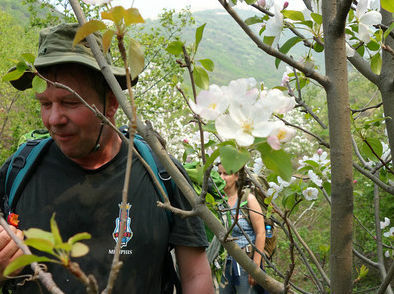 Our great wall trek went trough orchards and past a picturesque mountain village close to wall. After 10 km hiking trough the mountain we arrived at the mighty Yangbien great wall. As the sun went down the fog came up and started flowing over the mountain ridges like a magic potion. 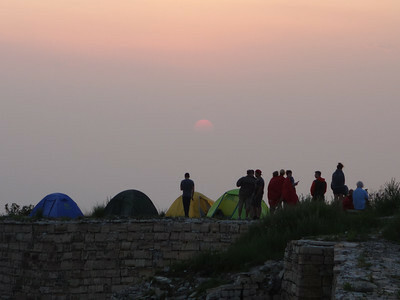 By the time the sun set we pitched our tents and just enjoyed the surreal scenery. 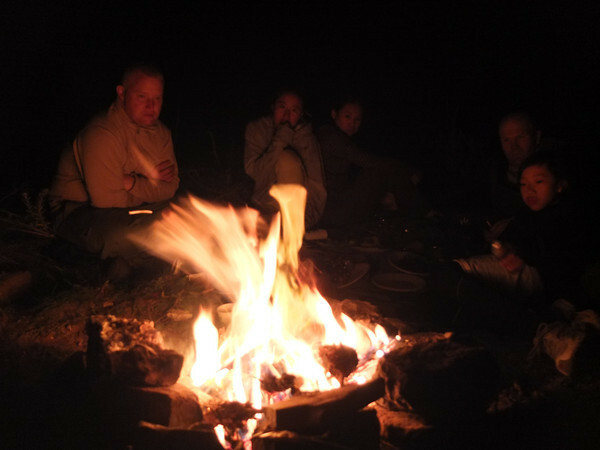 And of course no camping trip is complete without dinner at a campfire. If you d like to join this trip…. 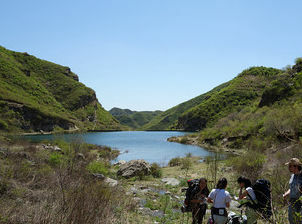 have a look at our China hiking agenda to find when our next hike to general xu great wall is going. We are already looking forward to guide you!